If there is one saga of games that I truly enjoy playing it’s the Assassin’s Creed franchise. I started playing them on Playstation 3 and have since moved to a Playstation 4. 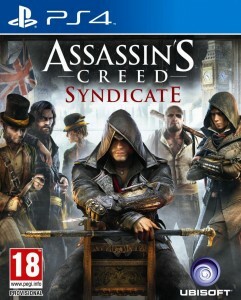 The most recent game that I have played is Assassin’s Creed Syndicate. The first thing that blew me away, within moments of starting this one, was how astounding the graphics were. Don’t get me wrong they have always been good, but the amount of detail in this particular game made it feel so much more realistic. I had read that before it was released Ubisoft did a lot of research to ensure historical accuracy, especially for the geography of the London boroughs used within this game. I was honestly blown away by the beauty and the features of this incredible piece of entertainment. Like all the other games in the series they are rated eighteen and over. This is due to the violence, the language used, and the nature of the storyline. This game is not suitable for children and I don’t encourage anyone to allow children to see the violence and adult aspects that this game includes. So what about the game itself? Well it’s all about the Frye twins, assassins who fight for the rights of the less privileged in 1868 London. 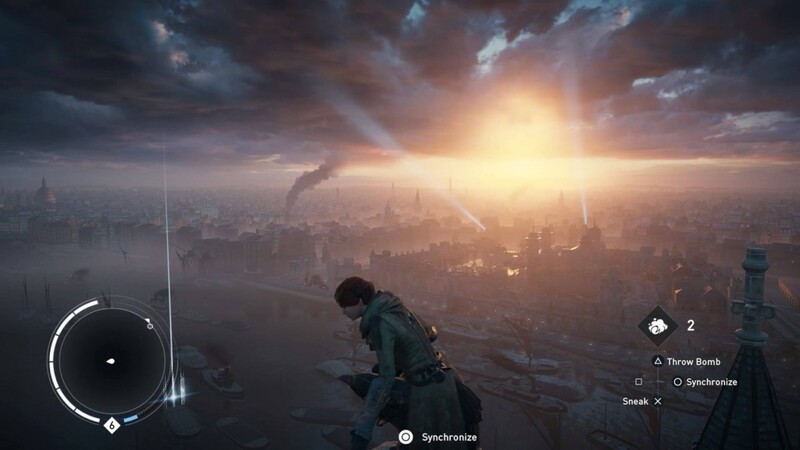 It’s set during the industrial revolution and there are many new aspects to this new game. You can ride on and drive horse drawn carriages; there are trains, barges and new weapons to wield. This historical lead work of fiction includes real world figures such as Charles Darwin and Karl Marx included in the extra missions in the special edition that I have. If you enjoy completing extra side missions and quests then this is the style of game for you. 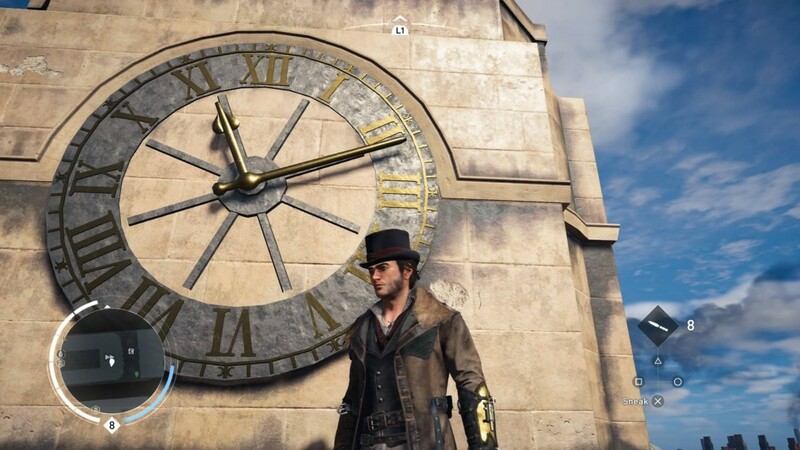 Assassin’s Creed Syndicate takes many hours to complete, if you go through London with the purpose of completing areas to one hundred per cent capacity. I personally try to accomplish games on the whole, and you really have to get stuck in to finish this saga. Parts of the game take skill both as a player and as a problem solver, and I enjoy these aspects because they keep things interesting. Twists that occur within the storyline part of this game keep making it appealing to play. 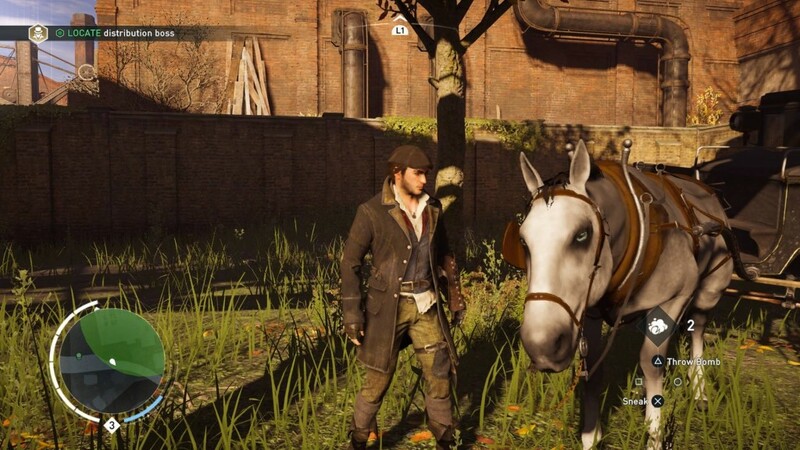 By attracting the players with wonderful graphics and great missions, Assassin’s Creed Syndicate is one of my favourite games in the franchise so far. If you have played and enjoyed any of the previous ones in the series then I can recommend this game to you. In the previous game, Assassin’s Creed Unity, there were co-op missions to complete within a multiplayer aspect of the world. I was disappointed that this feature wouldn’t be available in the new game. However there are so many things to do and complete, I was happy enough to just play on and finish missions on my own. Having no multiplayer actually made me focus more so on the sequence I was doing, and you don’t have to rely on others then, to complete the game to its maximum potential. The reasons that make this game great in my mind are; more detailed graphics, historical accuracy, new modern era assassin elements, addition of extra side missions (such as races and fight clubs) and modern weapons. Overall I highly recommend this game and I will conclude this review with some more (non-violent) screenshots of my gameplay for you to see. Missguided are a forward thinking fashion brand who believe in people getting the latest trends for the best possible prices. I first began shopping with them in 2014, and I’ve been pleased with all of the purchases I have made from them. Recently I needed to refresh the everyday looking dresses for my wardrobe. I tend to wear a lot of darker colours which include Navy, Red and Black. Although I began looking for something lighter when I was browsing I fell in love with the style of this particular dress. The Bodycon style Racer dress from Missguided comes in several colours, but I chose navy blue for myself. The dress wasn’t expensive at all, and I always have the quality of the material in the back of my mind when ordering clothes online that you cannot feel for yourself yet. The dress I chose to buy is of Bodycon shape which hugs your curves and typically has narrow straps and a high neckline. I often choose this style for my body because it’s more flattering, and luckily this great dress looked good as soon as I tried it on. As you can see in this image the dress is a lovely length, it ends just above my knees. The material is soft and is not too thin (I was worried about it being see-through) and it’s a flattering shape even on my thin frame. Even the cat liked it (she sat behind me and gave me a meow of approval). I would happily wear this dress throughout the warmer months, I feel it can be a lovely summer dress when paired with flats or sandals. Or it could even be dressed up with some jewellery, accessories and a pair of high heels for a more glamorous look. So overall I’m happy with my most recent purchase from Missguided and I would buy from them again. A good experience is worth so much, even more so if the items are better than what you expected. Here is the link to the Missguided website if you’re interested in looking at this dress or anything similar. 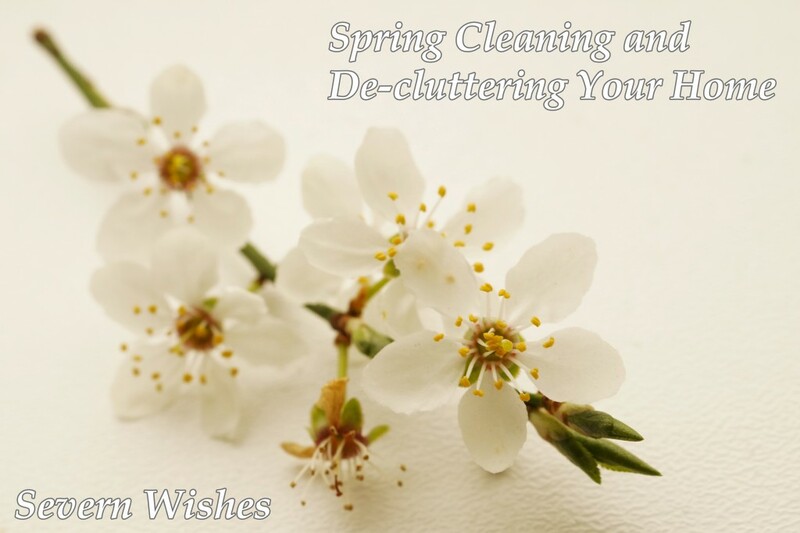 Most of us will dislike the prospect of a spring clean around the home, but it can be very beneficial. Not only do we clear out our drawers and cupboards of unwanted items, but we make space for the new. And there is a certain satisfaction that I always get, when you look at how tidy and clean something is. 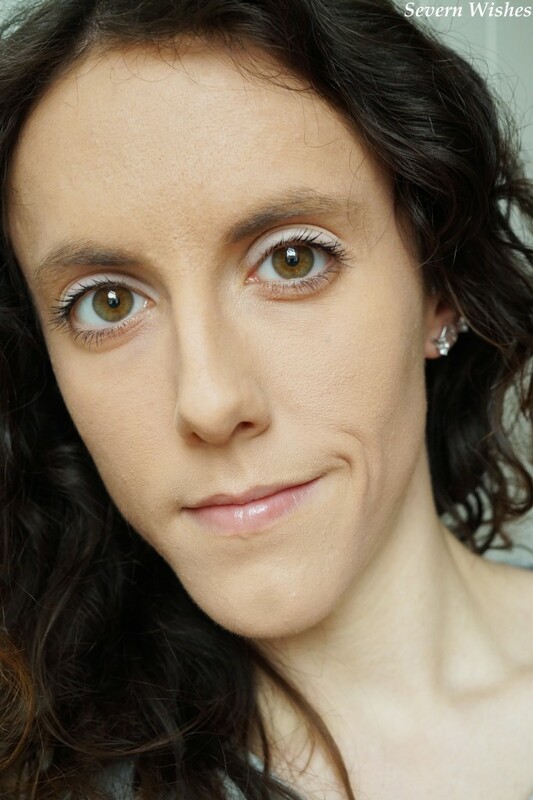 In this blog post I’m going to be outlining three ways in which I have had a spring clean in my own home, and the ways I like to de-clutter too. Here is one example of spring cleaning for you. No doubt we all have that one drawer in the kitchen where everything miscellaneous goes. If you have one of these suspects in your house, why not take half an hour on the weekend to go through it and clear it out. No doubt there will be old takeaway menus, receipts, sauce sachets and out of date items that can all be disposed of. Recycle what you can and make some space for this year’s items. Elastic bands can come in handy to separate areas inside the drawer, or an old cutlery tray if you have a spare. It depends what you use your kitchen drawer for, but if you need to divide the items, you can make the space work to your advantage. If you have things like old Tupperware boxes to get rid of, ones without lids can be especially useful. They’re great for storing sauce sachets in or small bits that would otherwise get lost. Line them up alongside your neatly stacked takeaway menus, and fill them with bits you find that need keeping. Another example that could usually do with going through is your medicine cabinet, or your bathroom cupboard, wherever you keep the majority of your toiletries. Most of us don’t realise how much we accumulate, so here is a handy tip from me to you, for spring cleaning the lot and then keeping it tidy. You’ll need a piece of paper and a pen, a plastic bag for all the bits that need to be thrown away, and another plastic bag for items that can be recycled such as empty bottles and boxes. First of all you need to empty the drawer, the shelf, the unit or what have you, and lay the items out. (I would do this on an old towel so if anything is sticky it doesn’t make a mess). Make a list of all the things you can keep, that are in date and appropriate. Throw away any medicines that are out of date, same goes for any products that may have gone bad. A good tip is to smell them and look inside to see if they have gone solid or a funny colour, if you aren’t sure then bin them. And cleaning the area down you can put the items back into place, and stick the list you just made on the inside of the door or along the side of the items. That way you won’t need to search the whole thing when trying to see if you’ve got a product, you simply consult the list. You may also need to make a list now of the items that need replacing, but first ask yourself this, if the products you’re throwing out have been in there a long time, do you need to replace them at all? My final spring clean idea comes from something I actually do on a three month basis. Kitchen cupboards! It’s a good idea to rotate the items on your shelves, to make sure nothing is going out of date, especially if you have a lot of boxes such as cereal and biscuits that easily go stale. It sounds simple enough, but a lot of people just refill the empty parts of their kitchen when they go shopping and don’t bring the older items out and place them to the front. We are all guilty of this, especially if we don’t have the time due to family and other commitments. But even if you just do this seasonally, you might save yourself some money. And you may also find a nice food or drink item you forgot all about at the back of your ‘adult food only’ cupboard… Making a list of what foods you have while putting them away can also help you to save on your next weekly shop. 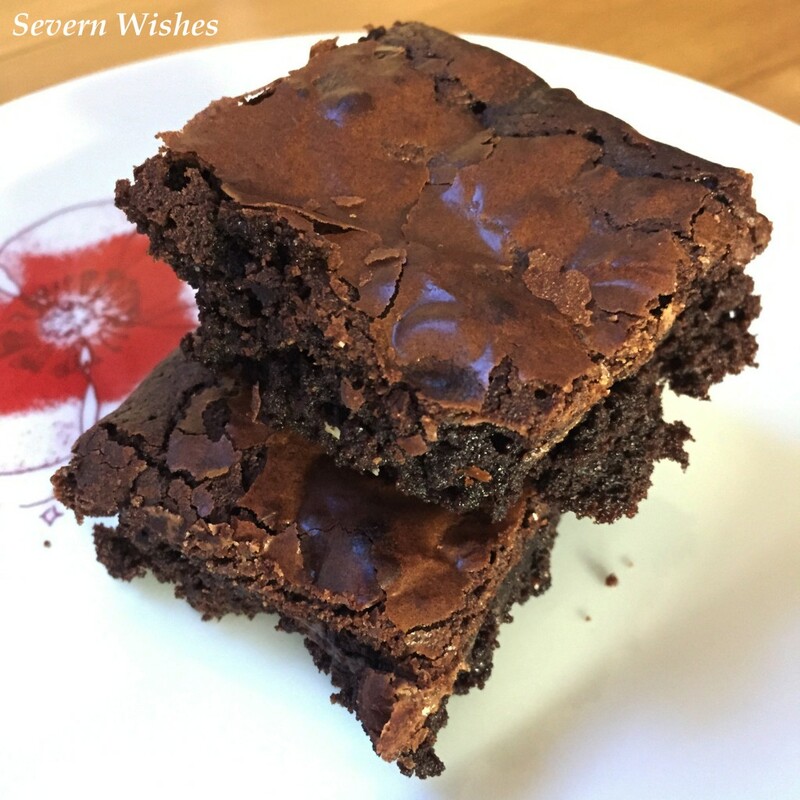 Towards the end of each month, it can be a good idea to write a meal plan, and use up any foods that might already be opened or close to a use-by date. 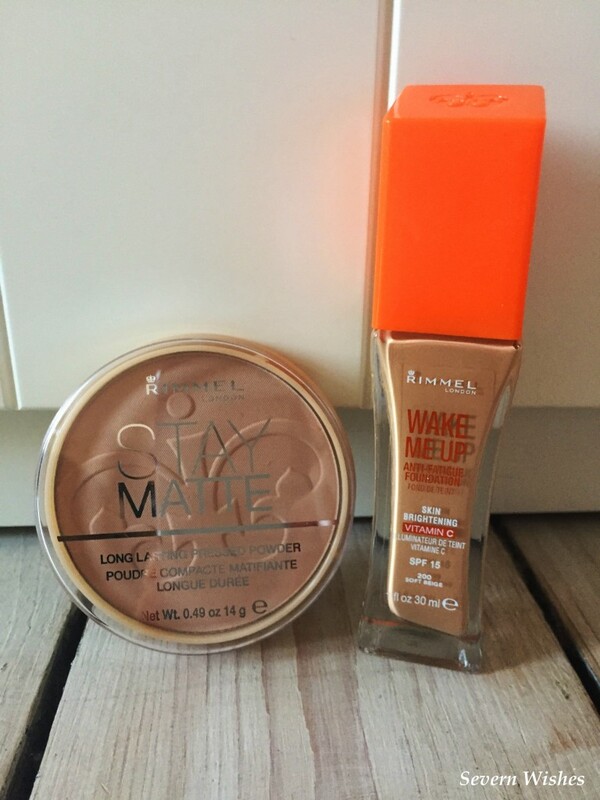 This all contributes to a clean out and a use up of products we may have had to throw out. Saving money and making space in your kitchen. As human beings we often accumulate things and eventually run out of space. So if your home is in need of a tidy up then hopefully these ideas will give you some inspiration. And there are ways it can be done without throwing everything out. If you’re a person like me who keeps a lot of things but wants everything to still be neat and tidy, it can be difficult to find a happy compromise. I have found that making the most of any given space needs to be worked out before deciding where to put things. So here are my top ways in which to de-clutter, maximise and save space in all aspects of your home. One example I used recently to save space while doing my yearly wardrobe clear out, was to remove the thicker items and fold them up. I placed all thick trousers such as jeans, and thick jumpers, in a drawer instead of letting them take up hanging space. By folding and rolling them neatly and using good special awareness, you can maximise your wardrobe space. Obviously throw things out if you no longer fit in them or they are too worn, and it’s always good to give what you no longer want to a charity or a homeless shelter too if you can. Something else that is really handy for wardrobes, especially if you have spare space at the bottom, is collapsible boxes! Ikea is just one of the many places who sell these and I think they are amazing! You buy them flat packed, and then use the zip and folding sides to create the three dimensional box. 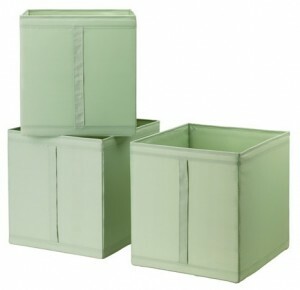 They come in a range of sizes and colours, and can be used to store all sorts of items. I use mine for scarves, hats, as well as summer clothes. 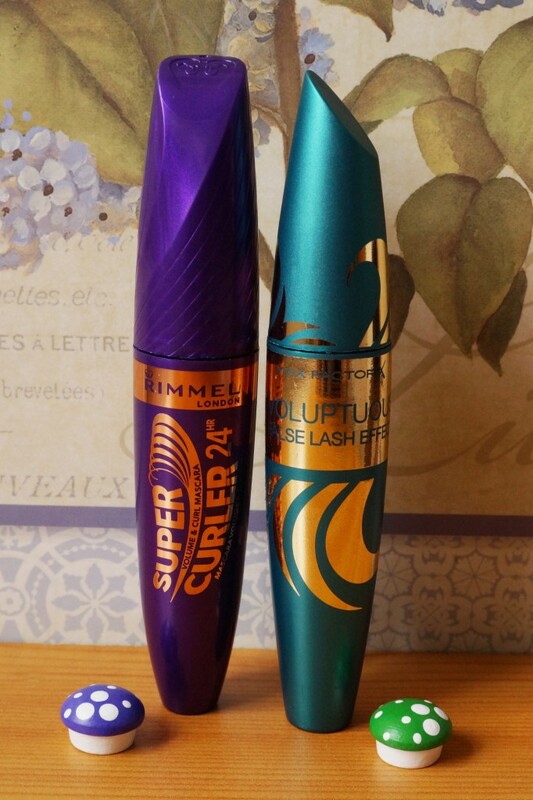 I also use some smaller versions of them for belts and other accessories that I don’t wear often too. 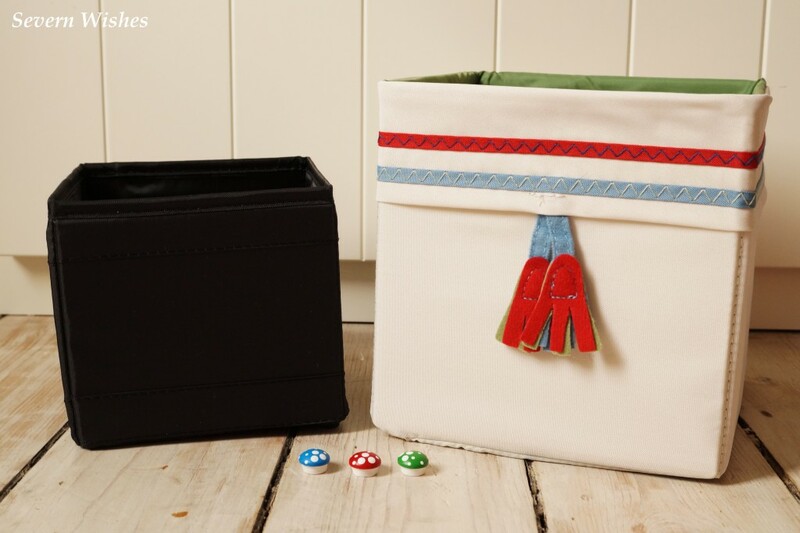 These great storage solutions allow you to be organised without things getting tangled together. By using a variety of coloured boxes you would always know which box to reach for when you need something. Another wonderful thing that Ikea do is drawer dividers. These are similar to the boxes I mentioned above, but on a much smaller scale. They can be used to separate items in drawers. Socks, underwear and makeup products are just some of the ways I use mine to organise things in my largest chest of drawers. 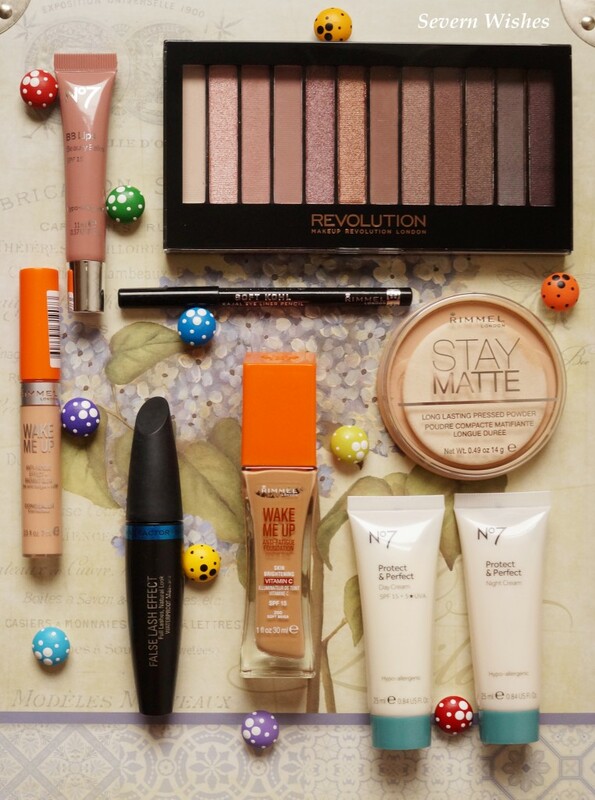 They can be great also in a bedside unit because that’s one of the places so much miscellaneous stuff can accumulate in over time, they allow for you to organise items in a much neater way. If you’re after some sturdier boxes, either for children’s items or preferably ones with lids on, then look no further than the ‘really useful boxes’ company. 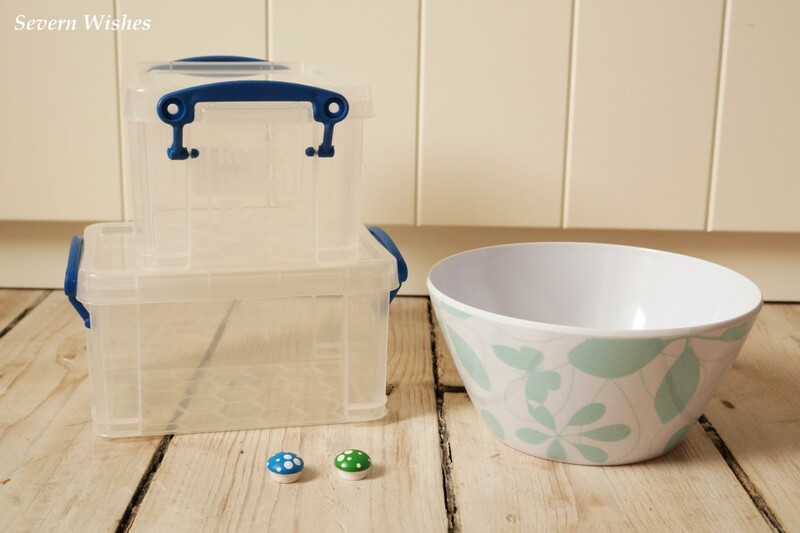 They have a great selection of boxes, some small enough to store buttons and jewellery inside, others so large you can store them under beds or in the loft space. We have a huge number in our house, used in all sizes and for all manner of things. One thing I do love is that they are really strong and durable and also easily stackable. Another item that I purchased recently in order to save space was a storage mirror from Argos. 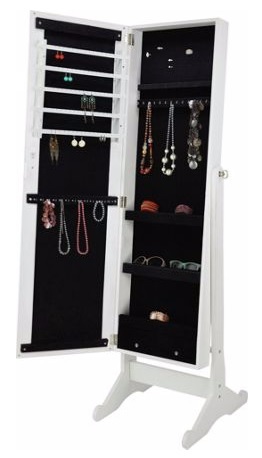 This fantastic piece of furniture doesn’t take up a lot of room because it has its own stand, and it has a great deal of storage space inside for all manners of jewellery and accessories. There are many pieces out there for purchase that can be useful in smaller homes, perfect if you need more space for items that you don’t want laying about on surfaces. I can recommend this mirror very highly for both quality and price, I couldn’t believe how much storage there was inside, it’s size has really been used to maximum effect. My final way in which I save space is to de-clutter the paperwork in my life once a year. It’s amazing how much space thin pieces of paper take up when put together. If you’ve had receipts and statements for more than a few years you can normally get rid of them unless you have some sort of warranty with an item, such as electronics. We all keep so much and accumulate so many things in our lives, by taking an hour or so every few months, we can maximise our space and clear out what we no longer need. If you need any more encouragement to have a clear out then look for local charities and shops who are after donations of toys and clothes, and see if you can do your bit for your local area. I hope you have found some inspiration in this post, and can now creatively save space and de-clutter your homes. When it came to picking an outfit for the 2015 Christmas festivities I was underwhelmed by what I had in my wardrobe. I just wanted some new and of good quality material so I wouldn’t have to layer up if it was cold. 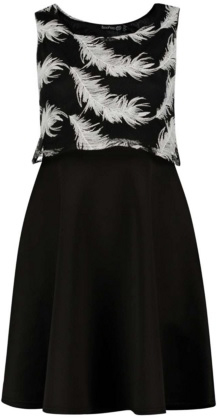 I searched through the internet in my lunch break at work and came across this dress from BooHoo. Even though I wasn’t looking to wear black, it had stunning detail on the piece of material from the waist up. The model looked great in their pictures and I just thought, that looks like the dress for me. I like skater dresses because of my figure, and hoped it would be as flattering on me as it was her. When the dress arrived I was so pleased with the quality of the fabric. Not only that but the feathers were so intricately sown on it looked far more expensive than its price tag. 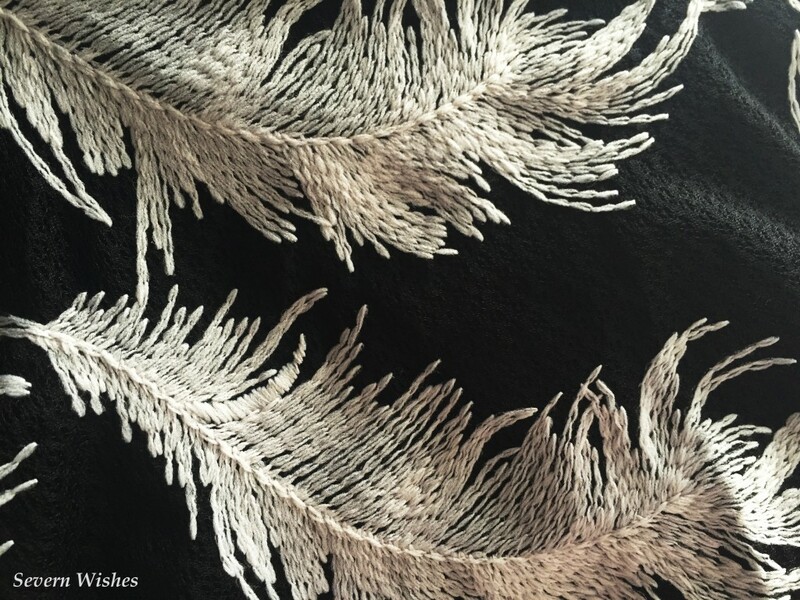 As you can see from my photograph, this dress has a lot of pretty sewn on white feathers, which almost look three dimensional from a distance. The dress itself was a thick material, especially the skirt part which started from the waist underneath where the mesh/lace with the feathers ended. The dress was both comfortable to wear and warm as well. I paired it with knee high boots and a black shrug and I was more than content in this outfit. I received lots of nice compliments about it and felt I had made the right style decision for my figure. After I had worn the dress I obviously washed it and thankfully I lost none of the detail. (Make sure you always wash items like this inside out to stop any detail snagging). I would happily wear this dress again at any time of the year. Overall I am ecstatic with my purchase from BooHoo and I can recommend their dresses, this is not the first one I have purchased. 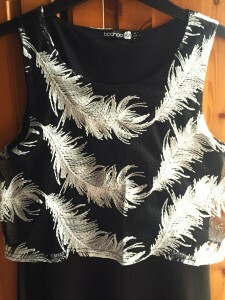 This dress is still available from www.boohoo.com but only in limited sizes. I am adding the link for you here if you’re interested in looking at it further. 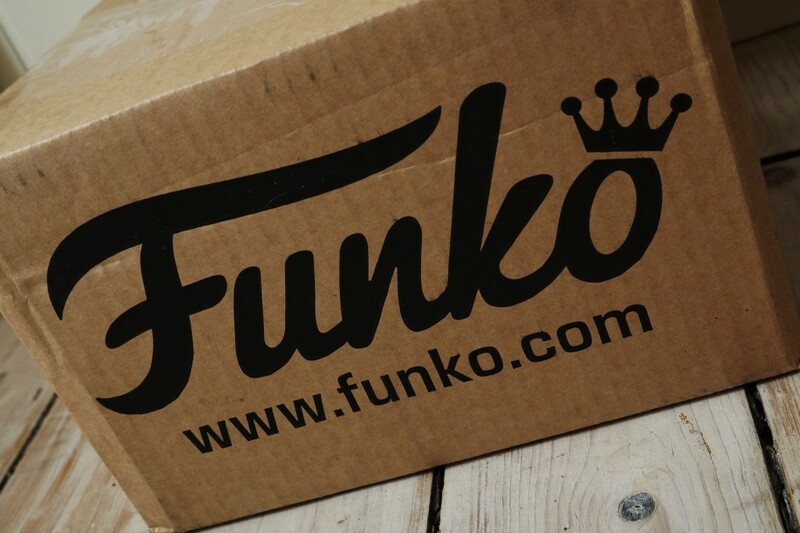 Funko is a company from the United States who originally began with the bobblehead back in 1998. Funko now holds hundreds of different licences which allow them to create toys and collectibles in all manner of characters. Funko can now be found in stores worldwide and they have a fantastic social media presence as well. This is how I came to know about them, I was always looking to get some Pop! characters. I was extremely lucky to win one of their Twitter competitions a few weeks ago, and when my Funko box arrived by airmail this week I couldn’t wait to open it! 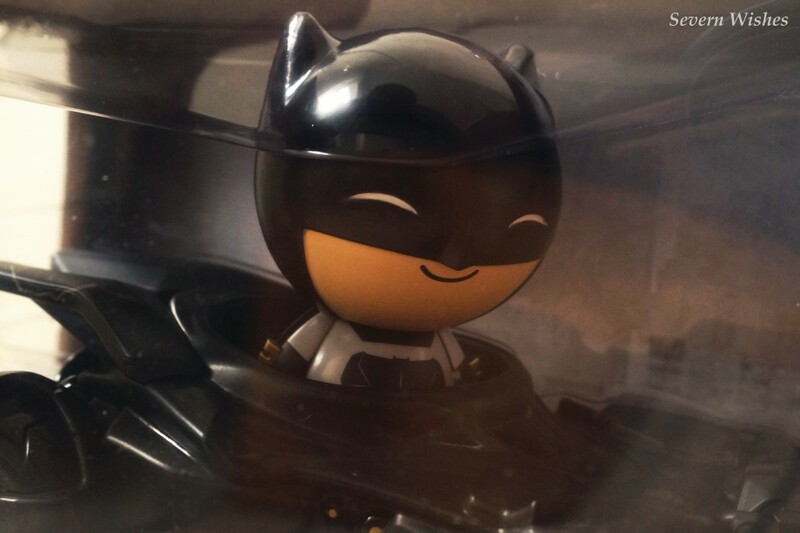 I knew it was going to be a Batman related prize, but I had no idea he was going to be this cute! 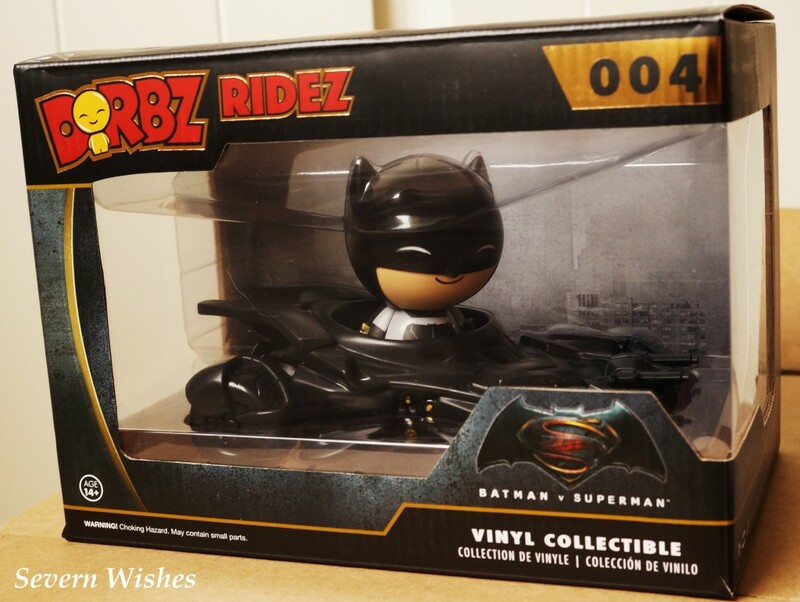 Here is my Batman Dorbz Ridez! My own little Batman in his very own batmobile! 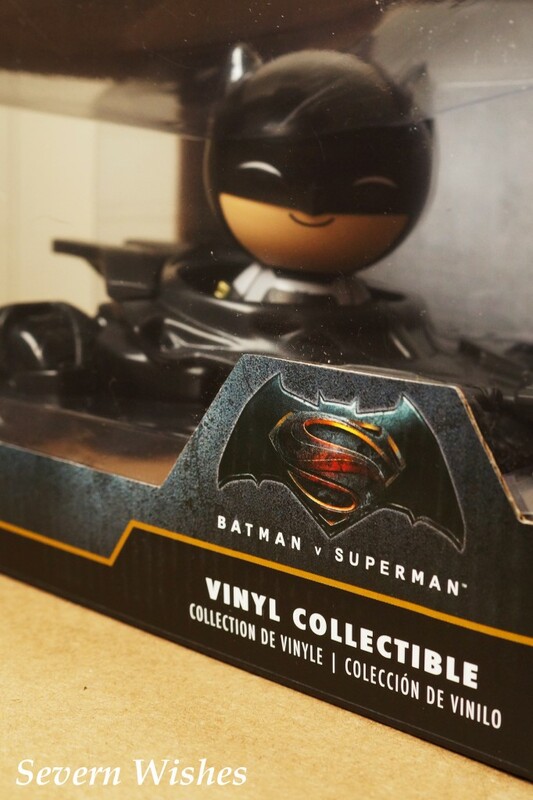 Designed for the new Batman VS Superman movie, this vinyl collectible contains a happy looking batman who is fully kitted out with his ride. This particular collectible is released in the United Kingdom from April 10th 2016, so I am even more lucky for receiving mine before anybody else. I have decided not to open him up, I want to keep him in pristine condition. Plus he seems lovely and snug in his batmobile already. A huge thank you to Funko for sending me this wonderful prize, I am over the moon with it, and he is going to have pride of place on my shelf along with my super hero movies and games. In honour of National Fragrance Day I thought I would show you what my 3 favourite perfumes are and why I love them. 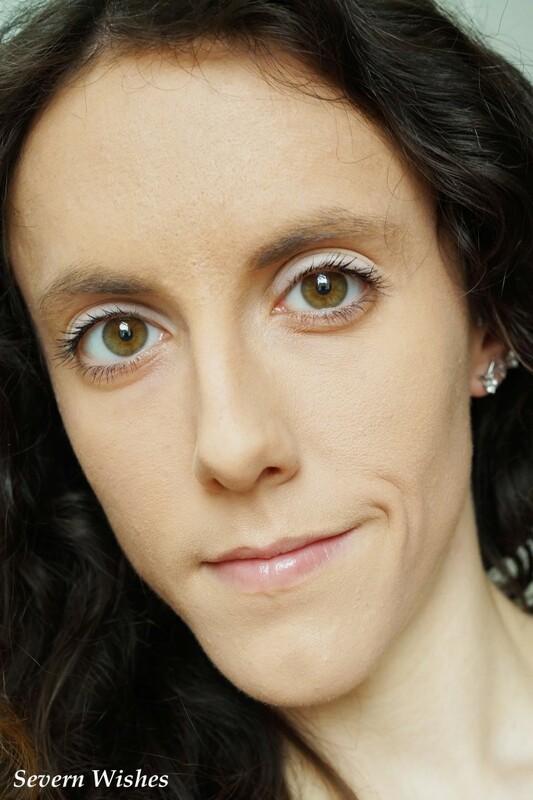 The first is the wonderful and delicate Emporio Armani Diamonds which I normally wear on date night. I did a little research today to find out why it could be that I loved this scent so much. Well it turns out the top notes of this particular perfume are Lychee and Raspberry (I love to eat raspberries). 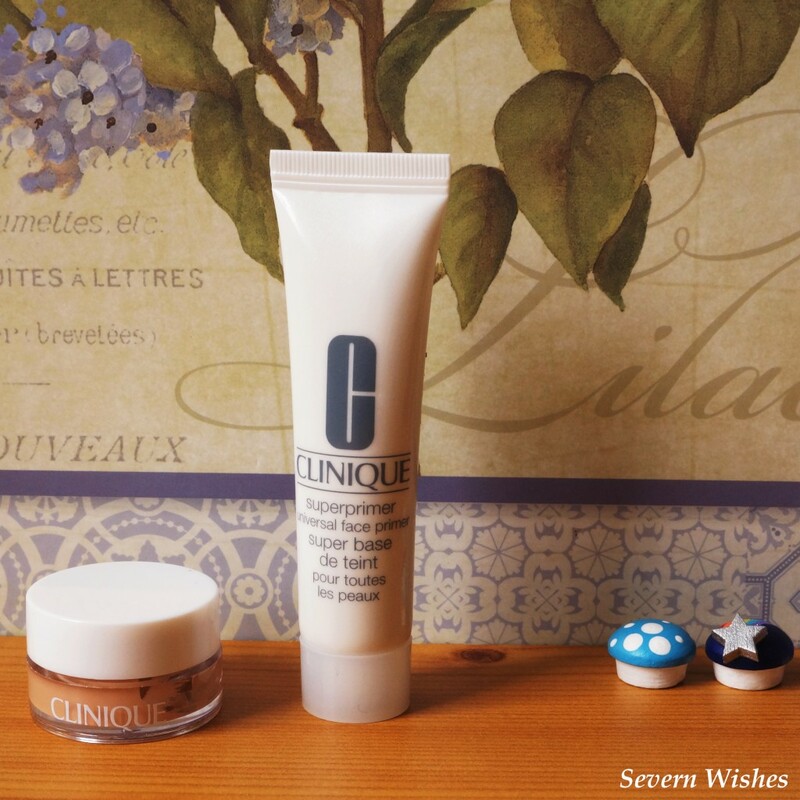 The flower scents include Lily of the Valley, Roses and Freesia. Even though this perfume was launched in 2007 I didn’t add it to my collection until 2012, and it’s still very popular it seems. 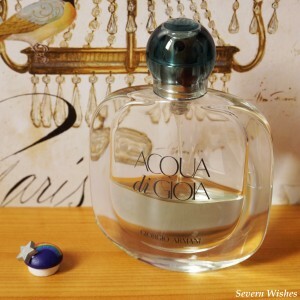 My second go-to scent for days out is the gorgeous Giorgio Armani ‘Acqua di Gioia’. This is a perfume that as soon as I had smelt it I wanted it. Sometimes a scent just suits you, well this is mine. Launched in 2010 I bought this scent that same year after sampling it in a local store. The top notes of this scent include Mint leaves (crushed) as well as Jasmine, and it has an aquatic heart note too. 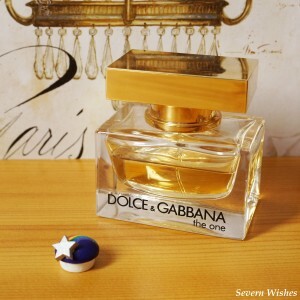 And my final perfume that I normally where on a night out is Dolce & Gabbana ‘The One’. I have always adored the original, which came out in 2006. My (now husband) partner had bought it for me, I think for a birthday, and as soon as I opened it I was smitten with the scent. This perfume has top notes that include Bergamot, Lychee and Peach. As well as these it’s heart notes of Madonna lily, exotic fruits, Jasmine and Plum, and base notes of Vanilla and Musk. Over all a very complex perfume compared to my other favourites it seems. So it we can see from my favourites that a pattern emerges. I like perfumes that smell of Roses and Lily’s and whose top notes often include Jasmine and Raspberries. 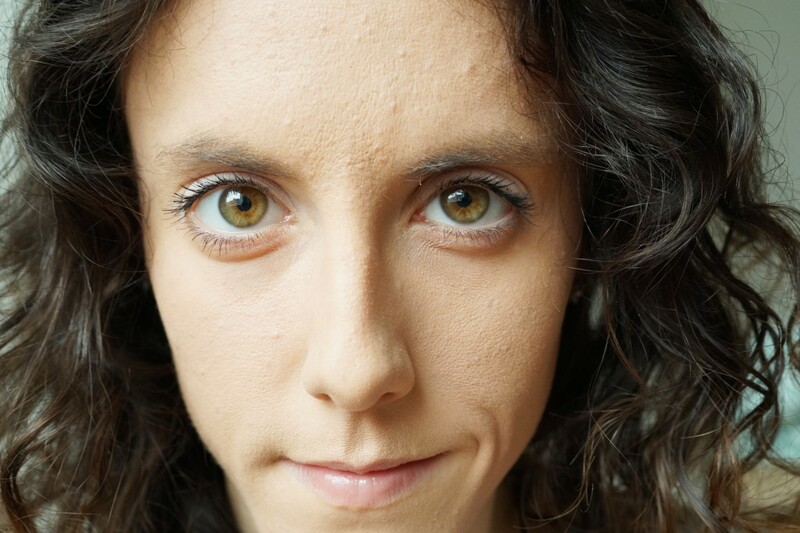 It is very interesting when you dissect the items from your routines, and perhaps something to think about when it’s time to try a new perfume. Happy National Fragrance Day every one.